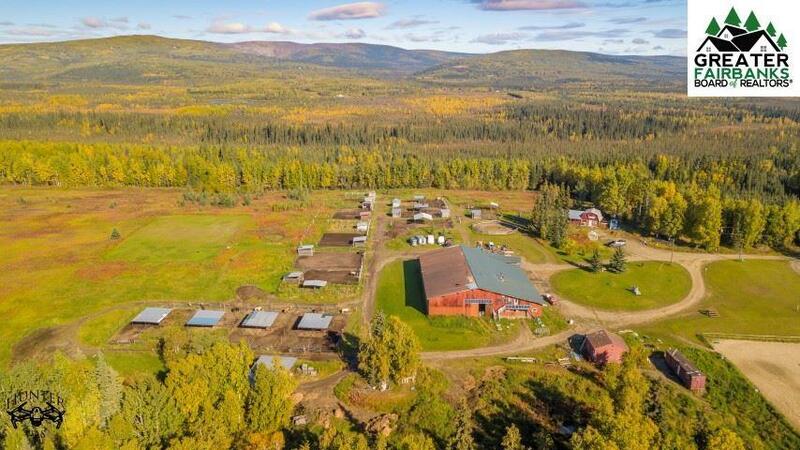 Historically a boarding equestrian facility featuring indoor stables, birthing stalls, heated indoor riding arena, numerous outdoor paddocks, lots of sheds, a large hay barn and outdoor riding areas. 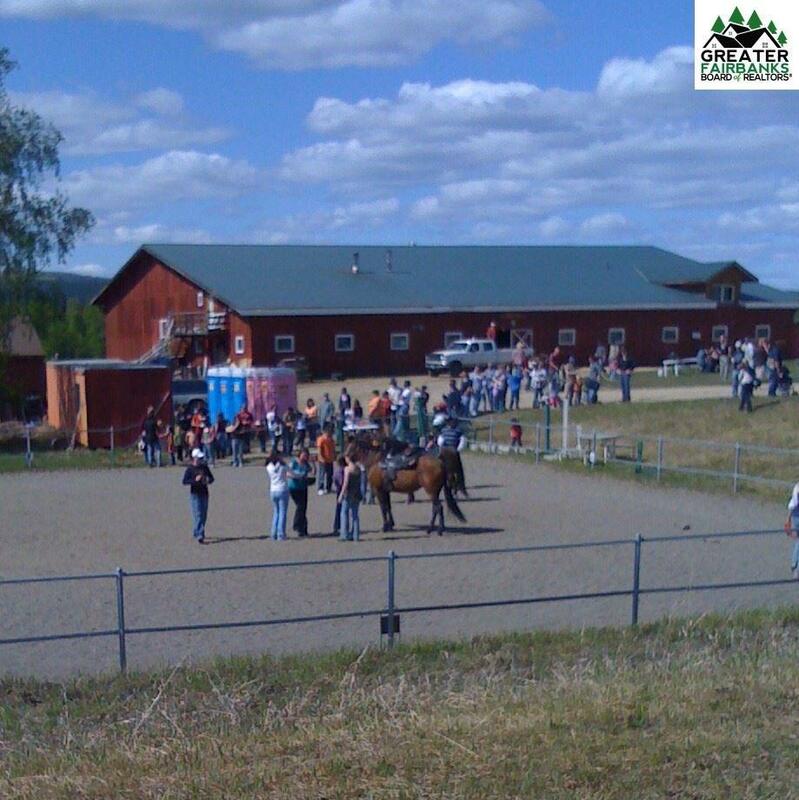 There is an area over the main barn that can be used as living space, a club house, or offices, and has plenty of storage. 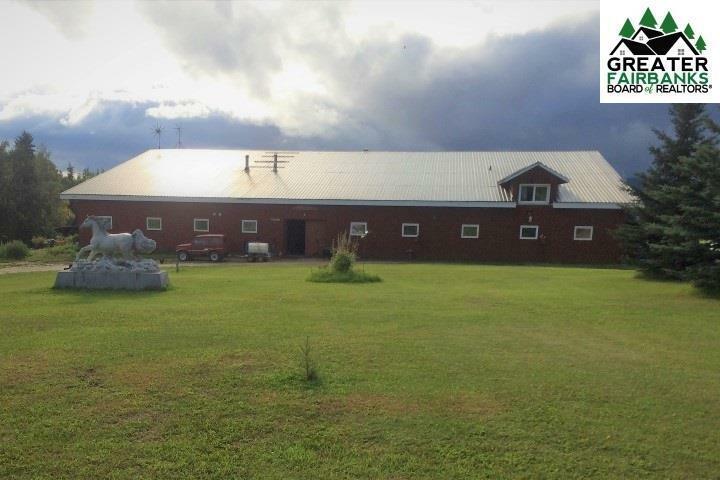 Currently there is a hired instructor and multiple boarders that the new owner could keep on to provide a steady income or facility could be ran as a dog kennel instead. The Lawlor cabin can be be used as the main home, a rental or a store. There is also a 24' x 24' cabin. 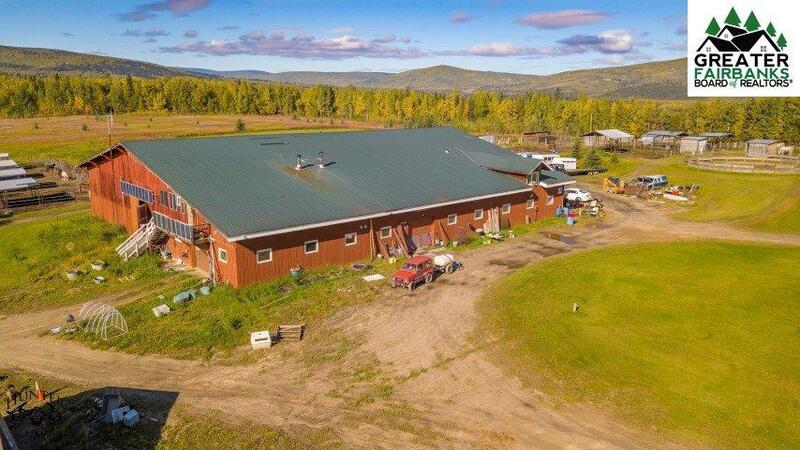 Located on the top of a hill off Lawlor Road, with a view of rainbows and Denali, on the west side of Fairbanks, close to the University.